The World of Park & Leisure Homes Show took place at Stoneleigh Park in Warwickshire in June. The 2016 edition of the World of Park & Leisure Homes Show proved once again to be an unmissable date for the parks industry. The three-day show at Stoneleigh Park delivered its promise of being the biggest yet, with more than 120 exhibitors and over 50 new lodges and park homes on display. 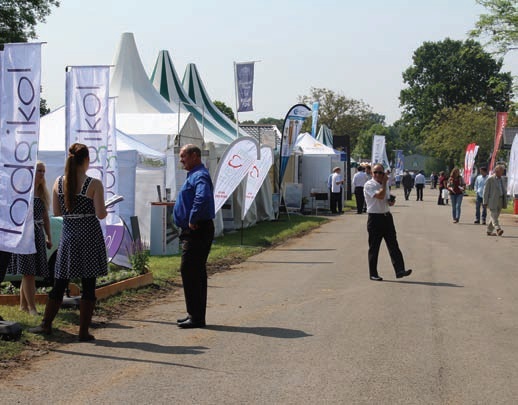 As in previous years, the trade preview day was an ideal opportunity for park owners, site managers and others working within the industry to visit the show ahead of the general public. Some of the UK’s biggest manufacturers were in attendance, including Pathfinder, Cambrian, Homeseeker, Lindera, Omar, Pemberton, Tingdene, Sovereign and Lodgikol. The dates of the 2017 World of Park & Leisure Homes Show have been confirmed and will take place at Stoneleigh Park on June 9 - 11 inclusive.